Airports are places in which we have to spend an inordinate amount of time, especially since security measures have been heightened to combat terrorism. With that in mind, an airport’s facilities are just as important as the flights that it offers to different destinations. People can be wildly happy in airports in anticipation of that much needed holiday, or manically-depressive at the thought of waiting ten hours for a flight they didn’t want to take in the first place. Here’s a look at the best and worst European airports and what makes them so good or really bad. These are judged on all the usual factors including cleanliness, the amount of time you have to wait for your flight and the helpfulness of staff. 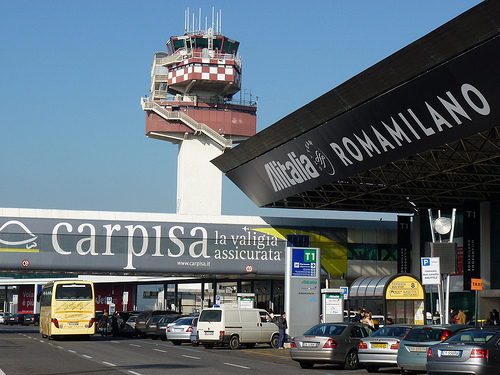 Being one of the best airports in Europe requires a good layout and an overall atmosphere of relative well being. The best airport in Europe could well be Amsterdam Schiphol. Considering that Holland is such a small country, Amsterdam Schiphol punches above its weight. 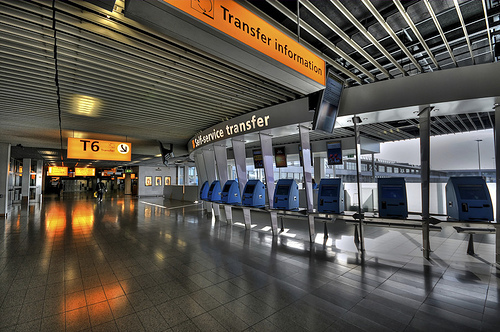 Amsterdam Schiphol handles over 47 million passengers making it the third busiest airport in Europe. Those passengers have a fantastic array of opportunities in the airport including comprehensive wi-fi and the ability to get married right there in the terminal. The transit area has sleeper rooms and there are long leather couches around for everyone to enjoy. There are also sauna and massage facilities located before and after the check in procedure. The only drawbacks are incidents of fraud and crime with certain phone and credit card scams being reported. London Gatwick airport is surprisingly easy to navigate considering how big it is. Helpfully London Gatwick only has a north and south terminal which are connected by trains and these run very regularly. Although the security levels are high, it takes a fraction of the time to get through at Gatwick as it does at Heathrow. Eating options are plentiful and include a bar that serves rock oysters and champagne, fast food sushi, and good sandwiches from Marks and Spencer. Switzerland has long been a place where people come to rest and recuperate and Zurich Airport does not disappoint. 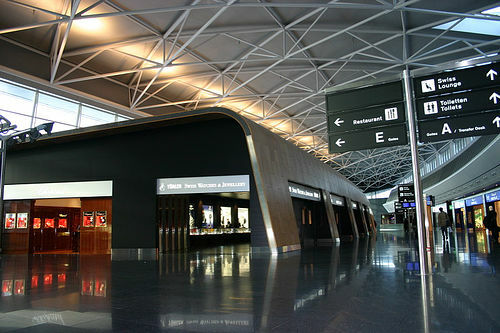 Cleaner than many British hospitals, Zurich airport is a calming place to check in and wait for your flight. Everything is as efficient as you would expect in Switzerland and the departures run with the efficiency of a cuckoo clock. 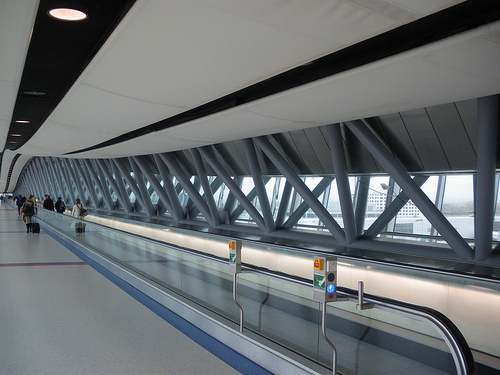 The airport is well served by public transport and you will never have very far to travel. While it can’t compete with the leather sofas of Amsterdam Schiphol, Munich Airport has padded benches for those long layovers and is generally clean with comfortable seats. In order to allow people to get some shut eye, announcements stop in terminal two at night, which is extremely considerate. 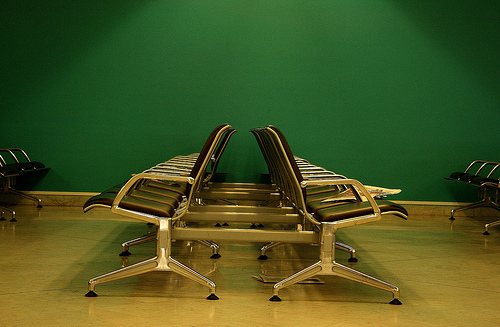 The airport is not too crowded and doesn’t suffer from a terminally chaotic atmosphere, which makes it easier to relax. 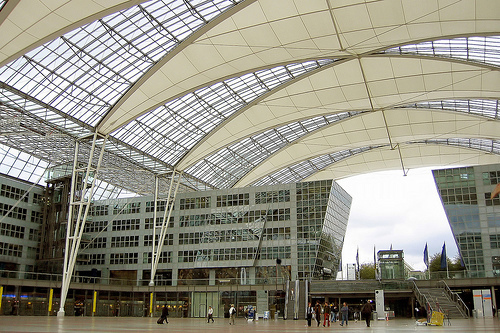 As well as being an award-winning airport for its facilities, you can get from Munich Airport to most of the world’s biggest cities including Tokyo and Los Angeles. Europe’s worst airports are chaotic places to visit – a bit like stepping into someone’s head and finding out that they have a migraine. People normally behave like cattle in Europe’s worst airports. They have had their souls beaten into submission by a combination of dank toilets, long waits with nowhere to relax, and staff who do their best to wind you up. Paris Charles de Gaulle Airport has been described in terms that cannot be repeated here. Part of the negative feeling is because the airport is inundated with vagrants. Paris Charles de Gaulle is also an uncomfortable airport, which gets disproportionately cold in winter and hot in summer. The restrooms are not well maintained, which only adds to the feeling of general dinginess. Customer service doesn’t score highly either, as you can wait for a long time if you need to make a change to your booking. In stereotypical French style, staff are rude and unhelpful. London Luton is possibly the worst situated airport in Europe. Cheap flights that depart from London Luton Airport with companies such as Easyjet are a fallacy. Most likely the plane will return from your holiday at some god-awful time in the morning and there will be no transport available to get home. Customers often have to spend the night in London Luton Airport and resort to sleeping on the floors as there is little else provided. The long walks to get a plane are not suited to the elderly or infirm who need to book assistance ahead of time. Airport staff have been reported as being rude, unhelpful and generally disinterested in anything but their smartphones. According to reports, passengers waiting for a delayed flight at Leonardo Da Vinci Airport in Rome once heard the captain apologize by saying – “Everyone knows that this is the worst airport in Europe.” Not only are you forced to wait inordinate amounts of time for flights due to bad planning, but it takes a long time to get your luggage too. Leonardo Da Vinci Airport has high levels of crime, especially if you factor in the taxi drivers and fake taxi drivers waiting around outside to rip customers off. This dubious accolade goes to London Heathrow Airport hands down. 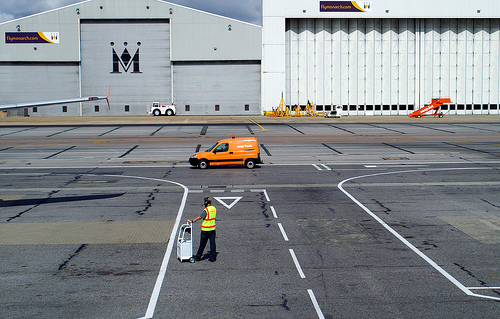 With five terminals, constant delays and airstrikes, problems with baggage carousels breaking down and long walks to get to your flight, flying through London Heathrow makes for a nail-biting experience. You will definitely need a holiday after your holiday if you plan on flying from this massive airport. London Heathrow is one airport where going first class really makes a difference, but even then you might have to make a mad dash for your gate. They should really provide maps at the entrance and have some soothing music playing in the terminals rather than frenzied announcements for last calls. 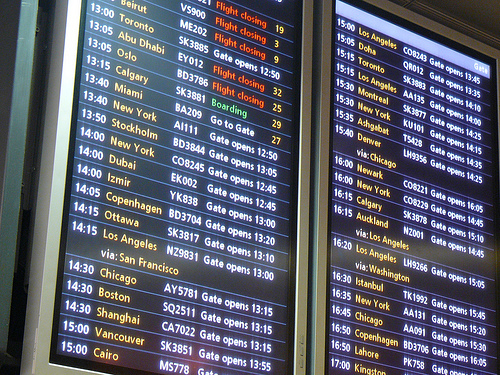 What do you think the best and worst airports in Europe are? What’s your favorite or least favorite? Make a comment and let us and everybody know. Maybe car parking charges should also be a factor ! ? Seville airport charges 12 euros per day, and as there is nowhere else to park, my last trip back to the UK ( 10 days ) the flight was cheaper than the car park ! 120 euros to park the car ! My personal favorite is Aeroport de Barcelona – my home town airport in Barcelona. Adios! If you arrive at Charles De Gaulle at 10:35AM and are feeling hungry you may find it’s too late for breakfast and to early for lunch. Always come prepared with a sandwich or energy bar in your backpack and wear comfortable clothing. Expect delays. If you have a connecting flight to another city give yourself plenty of time. My fav airport in Europe is definitely Munich, the overall atmosphere is relaxed and the quality of services from food to shopping are excellent! As for Italy’s airports they rank very low, with one exception, I would say, Marco Polo in Venice, in my opinion the most comfortable airport in Italy. Strangely, I find Heathrow to be the most convenient, centrally located airport with 30 minute access to the center of London. As to crowds at baggage pick-up, the worst has to be The Eleftherios Venizelos International Airport in Athens. Poor organization makes for lots of frustration. I absolutely dread departing or arriving at Heathrow. I would rather go to the dentist! Sometimes, when I travel from Istanbul to Miami, I choose a flight connection via Amsterdam because I love that airport so much. London City Airport is my favorate airport. It is just 20min from London city and and I always feel it is like a big pop. It is relatively small airport with very short walking distance between check in and departure gates. Fiumicino-Da Vinci Airport has to be the worst airport, if not in Europe, in the whole damned world! It was such a terrible experience to get out of this airport, the staff never acknowledged the flight being an hour late, in fact the clerk kept telling me it was 9:oo, although it was definitely 10:00 ! I dread the thought of ever going back there again. I take it no-one has been to Bucharest Baneasa? I really belive Frankfurt am Main International airort is the best!The atmosphere is relaxed sometimes.I love this airport!And the city as well! Frankfurt is the worst airport I have ever been to. The gates are damn near impossible to find, the staff is rude, food is bad (as is the shopping), nowhere comfortable to sit, busy and ugly interior overall. I’ve heard more than one other person who has complained about Frankfurt airport being hell on earth that ruins an otherwise great trip. Schiphol Amsterdam and Singapore Changi are the best. Relaxed, helpfull staff, easy to pop out for a ciggarette or a nip of fresh air, good shopping, good food, not too loud and planes are usually on time. There’s also comfortable seating and decent restrooms. Well picked. Indeed Charles de Gaulle is terrible and the best way to get there is on Air France – another reason not to go there. Amsterdam super efficient, exactly what business passengers need. Although the new Barcelona terminal is ok, it is surprising they managed to make it so inefficient in lay out (one big line). They seem not to have learned from Terminal 4 in Madrid which is very confusing. They must have thought about that since it is a straight line terminal as well, hard to get it wrong. I would say that airport in Amsterdam is the best, and Frankfurt airport is the worst.